The webmaster apologises for the rather long period of time since the last update - hopefully normal service will now be resumed! Since last November, the club has been busy organising our second exhibition (not a small undertaking!) - 17 layouts will be attending (up from 12 in 2018), along with a selection of trade and demo support. The show will be at the same venue as last year, and will also have the same entry fees as 2018. On the layout, more time has been spent 'operating' it of late, with our newer members making use of it whilst others pursue their own projects. ​One of our newer members has refurbished and rebuilt one of the oldest structures on the layout - originally built 'super low-relief' to disguise an insert in a wall on our original 'Turton Springs' layout, it now needed to become a full-relief structure to take its place on the new 'Effingham Junction'. 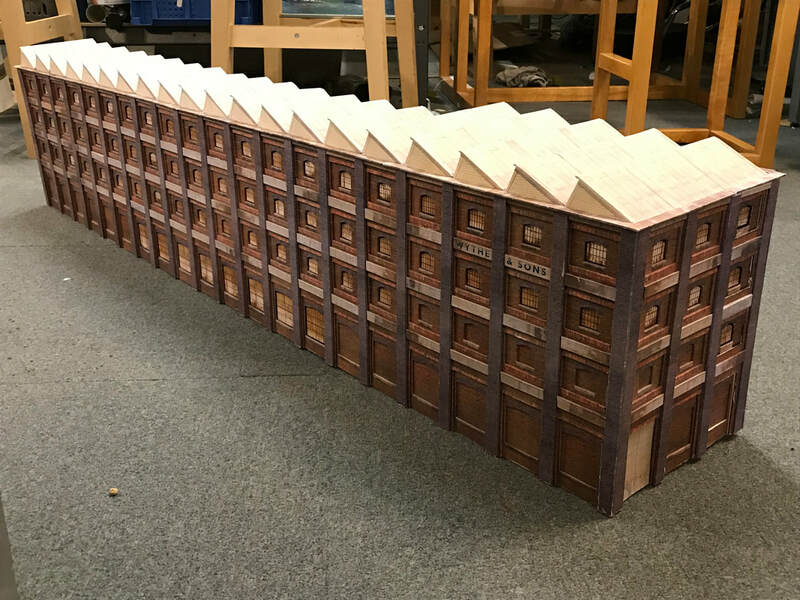 It is a Scalescenes factory kit, and demonstrating the versatility of the kit, is a 4-storey 20-bay affair. 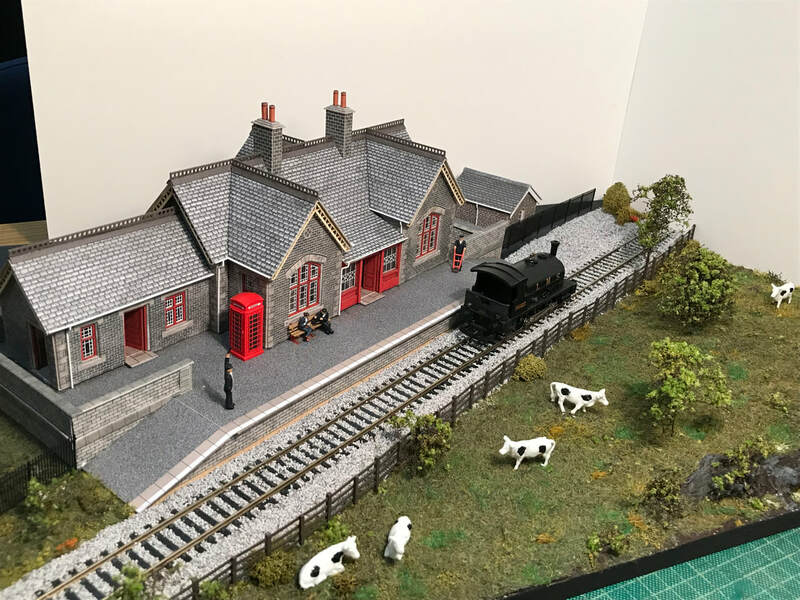 Another project recently completed is a small 2'x1' diorama, featuring a Metcalfe station building, finished in the style of an ex-LMS structure that could be seen at locations such as Settle or Ribblehead. Our eldest member has also been busying himself with a new project - in partnership with another of our members, they have constructed a small '009' quarry layout. 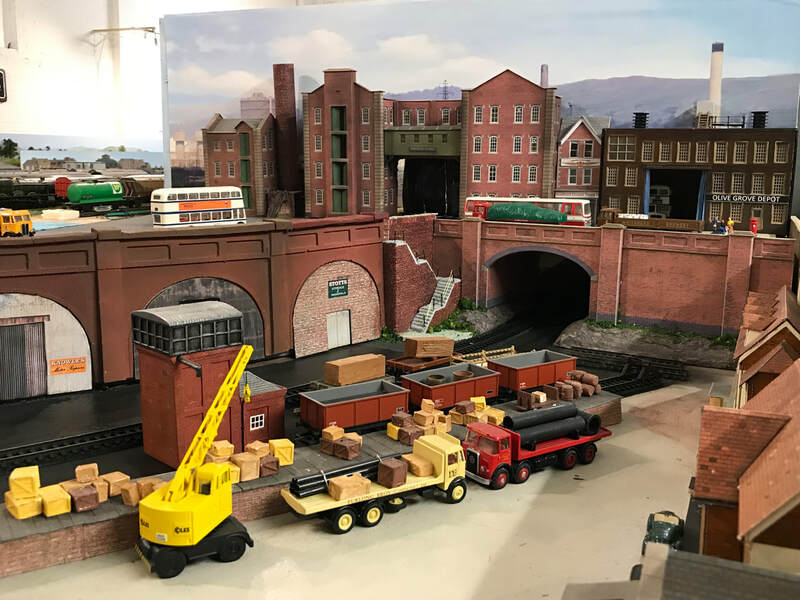 This will be appearing at the one-day show hosted by the Sheffield Model Railway Society in October 2019.